Every once in awhile, you get to meet an amazing person. A true industry leader. One with conviction, passion and certainty. One that works tirelessly to enhance the experience of others, even if it costs her. My passion for the restaurant industry has always been for the people that work in it. Amazing people with incredible vision and a never ending desire to make things better. There are so many. Well, today, I want to celebrate an amazing woman. Marla Topliff. Not only is she the President of Rosati’s Pizza, but she is also the Chair of the Pizza Council at NRA. Marla works 24/7 on our industry. The thing is, not only is she a great leader, but she is a fantastic friend. Just ask anyone in the restaurant industry if they know Marla, and they will tell you how fantastic she really is! Always available, no matter what! 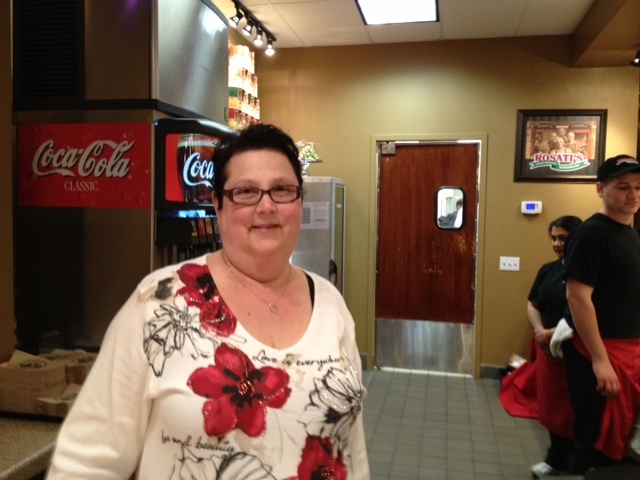 Marla is a visionary for Rosati’s and has dedicated her life energy to making Rosati’s a truly fantastic company. I am so proud of her efforts and all she does for restaurants. I am especially proud of her new catering program! Way to go Marla! Everything on the menu looks great! If you have not tried the catering items, order tomorrow! You will be glad that you did. It takes serious ambition and leadership to achieve the results that Marla has in her career. I am so grateful to many in our industry, and Marla is no exception. Thanks Marla for all that you do! Marla is a diamond of the industry! Touche. Great post. Keep up the good work! Hi there, just wanted to say, I enjoyed reading your article. It was helpful and inspiring. I would like also to share mine too. More Information.